From as long ago as I can remember, I wanted to be a Mum. I completed high school at a highly academic girls school. Many of my classmates dreamed of big careers and changing the world. When I was asked what I wanted to do, I would often answer ‘Get married and have kids’. I didn’t expect to fall in love at the age of 21, marry at 22 and welcome my first child into the world at 23. Just 7 years later, I was a Mum of 4. I couldn’t believe how lucky I was. I would often look at those 4 little faces and marvel at the fact that they had been entrusted to me. Steve and I could not believe the love we felt for these 4 little people and they fast became the centre of our world. My life was all about loving and nurturing my ‘babies’. We have always travelled in Australia and New Zealand a lot. From young ages they spent long hours in cars. They learnt to sleep wherever they were told. I would often fly solo with the 4 kids. My first solo trip with all 4 was just weeks after Matthew was born. We were often complemented on their behaviour. As patrons left restaurants, they would walk passed our table to tell us how beautifully the kids had behaved. I remember a couple of old ladies telling us in a cafe in Victoria how good the kids were. A Woolworths check-out operator said to me once, “I’ve watched you and your children walk up and down the aisles and I’ve never seen kids so well behaved.” Don’t get me wrong, they knew how to tantrum, but overall we were (and still are) so proud of them. On a trip to Robe in South Australia, Fraser had a bad case of chicken pox. There were also a few issues at work and we let ourselves focus on the stresses in our life. We were tired and anxious and briefly forgot to keep our eyes fixed on the important things in our lives. 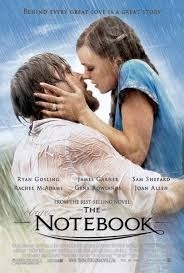 Someone had given us a copy of the movie ‘The Notebook’ to take away with us. The movie received mixed reviews and is certainly not to be watched if you are searching for a thriller. But for us, on this particular night, it was perfect. I don’t want to give away any of the story and it’s been about 8 years since I saw it. As the movie finished, Steve and I were both in tears. The message we received that night changed our lives. We realised that our life was pretty perfect and it was unlikely to ever get any better. We realised in years to come, we would look back on this period in our life as the best and the happiest. We received a much needed smack in the head that night. We were determined from that night on to live life with our young family to the max. When all the kids were at school or kindy, I decided I needed a job to keep my brain busy. I decided not to go back to my profession of Nutrition and Dietetics. I wanted to drive them to school and pick them up, I wanted to help out in each of their classrooms, I wanted to coach their volleyball teams and I wanted to spend school holidays with them. I wasn’t asking for much was I? A long story cut short, I did more study, and with the help of my beautiful sister-in-law Karen, found the dream job. I was working full-time from my laptop. Wherever I could find an internet connection, I could work. A lot of my work could be done late at night giving me flexibility during my days. I’m not sure why I’ve given this background. It just came out. Much of my writing is spontaneous. My fingers type what my brain thinks. I think the whole point of my ramblings above, is to reinforce that I have lived my life in a way I thought was best for my family. I have mentioned in a previous post how hard it was seeing my children in pain, and being powerless to fix it. I want to share another story that remains so vivid in my mind. I often asked Mum and Ali for their opinions on how the kids were doing. I remember ‘talking’ to Ali one day and sharing my concerns about Will. I told her that he would bottle up all his emotions and unless they watched him closely, they would never know how he was feeling. The very next day, about 2.5 weeks after my stroke, the kids all came to visit. They never stayed too long. 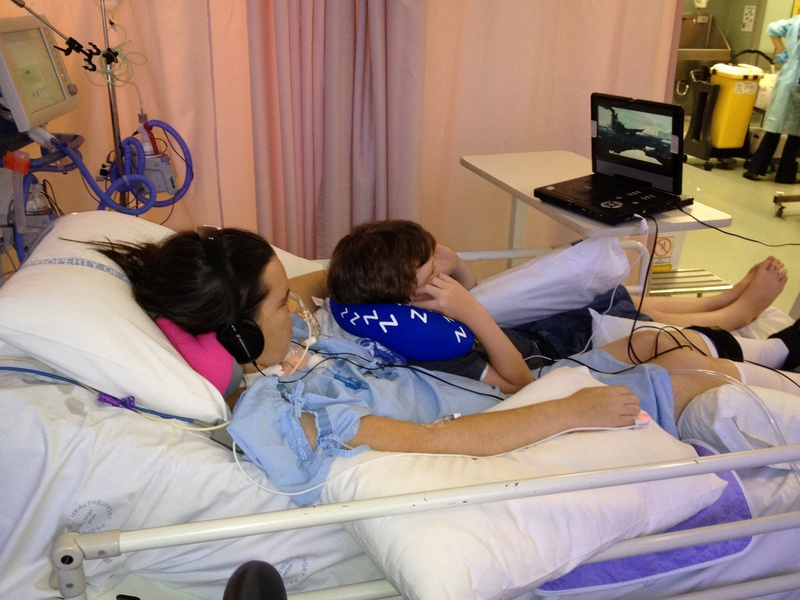 ICU is not an easy place to keep kids entertained. When it was time to leave, the kids lined up to kiss me goodbye. Will was last. He was quite stand offish and said goodbye without kissing me. I have always understood Will in ways others haven’t. One look into his eyes and I knew he was struggling. Another complication of a brain stem stroke, is the inability to control emotions. I burst into tears. Not because I was upset that he hadn’t kissed me, but because I was worried about him. What was going on in his head to make him not want to kiss me or too scared to kiss me? Steve felt so much pressure to keep me calm and happy. It broke his heart to see me so upset. He immediately mistook my tears as a sign that I was hurt by Will’s distance. Steve directed his anger at Will and yelled at him to get out. Poor little Will looked so lost. When Will didn’t move, Steve yelled at him again. At the same time, I was getting so angry at Steve. I was crying hysterically now and trying to scream. Oh how frustrating to watch this scene unfold and being unable to do anything to stop it. My heart was breaking. All I could do was worry about Will and I desperately wanted to make Steve stop yelling at him. I was blinking furiously to let Steve know I had something to say but he was too upset to take the time to spell my message out. It felt like time stood still. I can not put in to words what a messy, emotionally charged scene it was. Steve was trying to protect me, and I was trying to protect Will. The kids all went out to the waiting room. Steve stayed behind. I was totally worked up and beside myself with worry and empathy for Will. I can remember my conversation with Steve quite clearly. It was pretty hard work blinking out my messages through tear filled eyes. I was telling Steve that I was worried about Will. I explained my view that we all grieve differently and that I believed Will was trying to cope in his own way. I then asked Steve to go and get Will – I didn’t want to leave things the way they were. I needed him to know that I wasn’t upset with him. I had been very careful not to make the kids feel they needed to behave in a certain way around me. I was scared that would lead to an anxiety around visiting me. So Will came in. The three of us smoothed things over. Will started to look more relaxed. Between us it was decided that Will would come in on the weekend to watch a movie with me. I knew it was a great way to spend some one on one time with him, with no pressure to make conversation. Saturday came around and Will turned up with a brand new movie he had bought at the shops. He looked almost dexcited at sharing it with me. Steve got the player all set up and Will climbed in to bed with me. We watched the ‘Last Air Bender’. My eyesight meant that watching movies was like looking through the lens of an unfocused camera. Throw movement into the mix and motion sickness was a given. Through much of the movie I had to close my eyes to avoid being sick. I didn’t care, I was alone with my little boy. Tears in my eyes reading this, Steph. Your kids are so lucky to have you as their mum. I’ve never met you, but I love you to bits! What a wonderful mother. Colleen. I love your blog. I tried to put the comment below up as a post but it was denied. PS. I left Katie a message on your home phone to wish her a happy birthday. I will try again later. Please give her a hug for us. You have an amazing blog, Iv been going through some tuff times lately. Nothing compared to what you have been through and continue to go through, but I have found it really hard to get out of bed. Some days I just want to stay there and never get out. You are such an inspiring woman how can I stay in bed and mope when you can be such a positive happy and amazing role model. Your words have really helped me to see the brighter side in life.